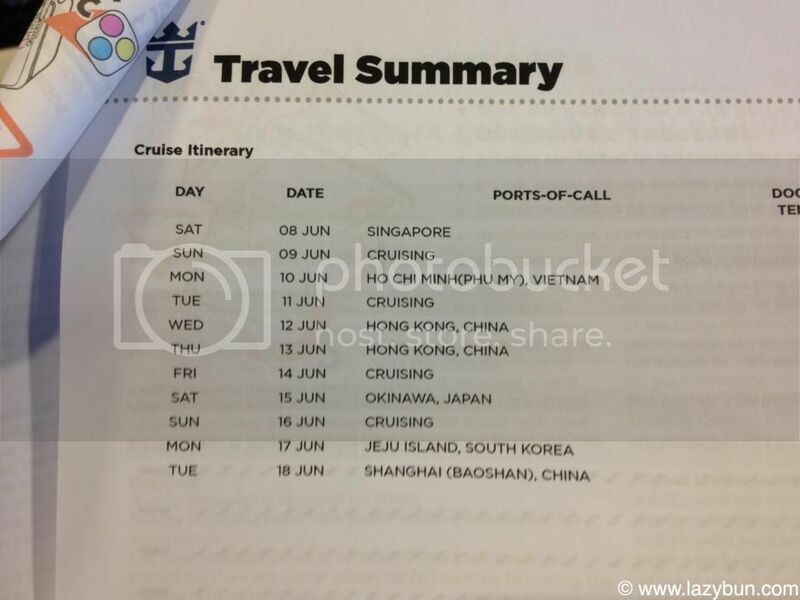 Note: I apologize for the late post for my FIRST cruise trip, FIRST appearance by Mariner of The Seas of Royal Caribbean in Asia, in year 2013. Pic taken during excursion in SP-PSA International Port in Phu My Borough Tan Thanh District Vietnam. The best moment to take picture of this Giant ship. Today I want to start writing about my wonderful cruise trip, probably the only one in my life. The experience was once in a lifetime thing ever, there were so much to talk about from boarding the cruise ship to large inner chamber, facilities to daily events, and how could I possibly not mention about the excursion tours! 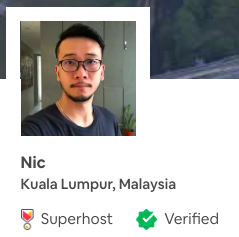 Special thanks to Holiday Tours Malaysia! I know I am late to tell the world (especially Asian countries) about my journey simply I was lazy. Now I'm going to tell the story. Be prepared to get bored (due to my poor writing). Hehehe. Mariner of the Seas made its first appearance in Asia in 2013 & I was so lucky to on board this first Asia Route by Royal Caribbean, depart from Singapore to final arrival in Shanghai. Of course few countries to stop by enroute from Singapore to Shanghai were Vietnam, Hong Kong, Naha of Japan and Jeju Island of Korea. Truly amazing cruise journey across the South China Sea to see different places despite it was just a whistle-stop tour. In case you do not know about Mariner of the Seas, please visit http://en.wikipedia.org/wiki/List_of_the_world's_largest_cruise_ships for the reference. Mariner of the Seas was in the top 10 list for World's Largest Cruise Ships in year 2013, but now it has down to no.16 in ranking (the time I writing this is early 2015). I don't wanna talk about the specific details of the ship here because I don't remember them but I do remember the moment I spent in and out the tremendous huge ship (to me, at least). 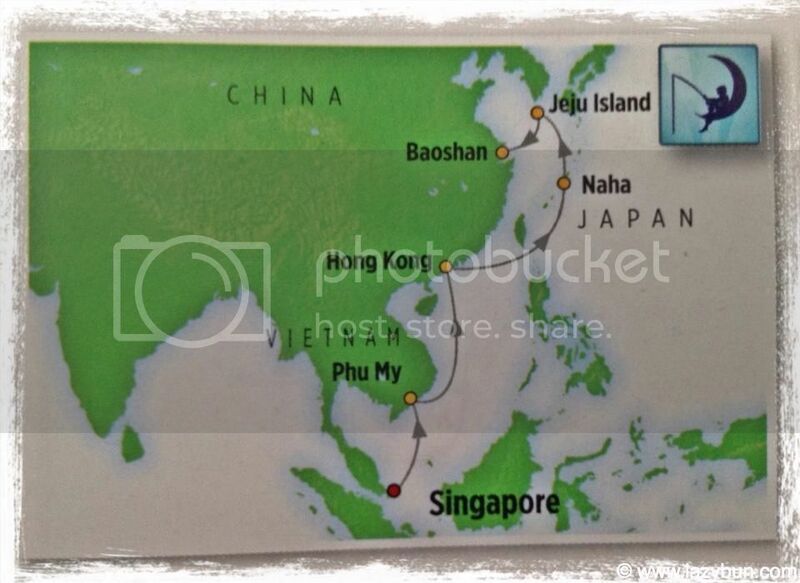 Mariner of the Seas by Royal Caribbean International (8/6 - 18/6/2013) - First time it starts sailing in Asia :) Below is the map & itinerary summary of the cruise, from Singapore to Shanghai.